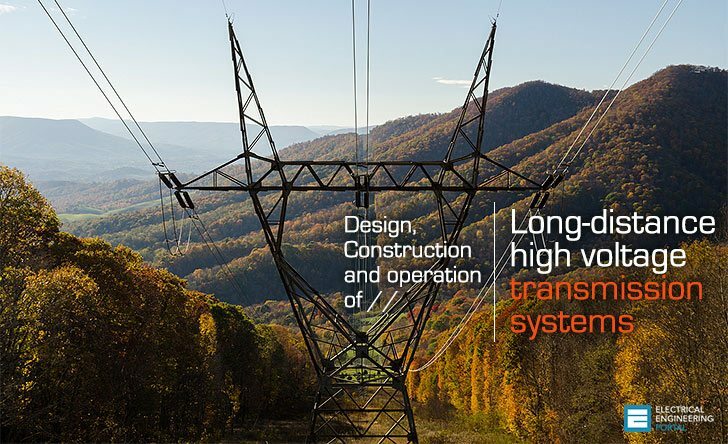 To clearly describe power transmission facilities, it is necessary to draw a distinction between transmission and distribution, both of which refer to the transport of electricity. Distribution refers to supplying power to retail customers. Distribution lines normally run from substations through a distribution line network. The key distinction between distribution and transmission arises from the issue of resistive power loss and the fact that the power loss can be reduced by increasing the operating voltage of a line. The final distribution of electrical power to retail customers occurs over relatively short distances, while much longer distances are typically associated with electrical transmission between power plants or between power generators and the sometimes remote communities that they serve. Accordingly, one would expect to find high operating voltages to be a characteristic of transmission lines. Actually, transmission line voltage is normally 115,000 volts (115 kilovolts [kV]) or higher. In contrast, primary distribution lines generally reach distances of no more than a few miles, although in rural areas they may extend more than 50 miles. These lines generally range from 2.4 to 25 kV with occasional installations up to 46 kV. In some cases, customers are served directly at these high voltages, but most customers receive power by means of secondary distribution lines that branch off the primary lines at voltages of 120 V or 240 V. These low-voltage lines generally traverse only a few hundred yards.